As part on our 'Mind Yourself' series, broadcaster Brent Pope writes about his struggles with mental health and how he copes with crippling panic attacks. We hear so often about the benefits of exercise for mental health problems, particularly depression and its many forms, and anxiety. 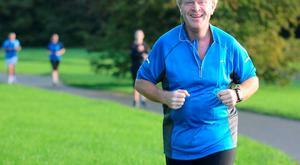 But for 50-year-old Ed McGrane, it was grief that spurred him on to complete 107 Parkruns over the last couple of years. It can be hard to know what to say when someone you love is suffering. When a friend or family member is ill, or grieving, or gets some bad news we desperately want to impart some advice or some wisdom. Don't worry, be happy: Is happiness as simple as accepting life as it comes? One of the country's longest-serving TDs has revealed for the first time how he suffered severe panic attacks for six years - which were "worse" than being treated for prostate cancer. #MindYourself: So what's your happy place? #MindYourself - How do our politicians deal with stress? Declan Daly knows all about the emotional and mental strain of having a long-term illness - a struggle faced by more than one in three of the population who has a chronic disease. As part our 'Mind Yourself' series, jewellery designer Chupi talks about her happy place…. cooking in the kitchen. It's a difficult situation to be in, when you suspect a loved one might be finding life tough, or even battling depression or anxiety. As part our 'Mind Yourself' series, comedian June Rodgers talks about her happy place…. the garden. Author Julie Barton was 22 when she was diagnosed with an acute, and seemingly treatment-resistant, form of depression. 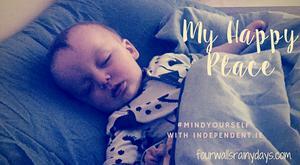 Niamh Lynch of 'Is Mise Niamh' blog writes about her happy place for Independent.ie as part of the 'Mind yourself' campaign, together with the Irish Independent. Hannah White of EliteGamer.ie writes about her happy place for Indepedent.ie as part of the 'Mind yourself' campaign, together with the Irish Independent. Lorna Duffy of FashionBoss.ie writes about her happy place for Independent.ie as part of the 'Mind yourself' campaign, together with the Irish Independent. Someone once said 'no one gets out of here alive'. No one gets out of here without experiencing some of life's challenges either. Given the myriad challenges that we are sure to encounter and the desire to find happiness when we can, it is important that we develop strategies for coping. The food choices that we make impact either positively or negatively on our everyday mood. Research shows that certain foods improve mood and as we feel better we make wiser food choices. Can working out make you happy? If you are someone who works out on a daily basis, it's not just coincidence that you are generally happier, feeling less stressed and have more energy. What is it about training that really gives us that happy feeling? There is quite a debate about whether adults are happier being parents or being childless. It is easy, even on first glance, to see why there is no clear winner. A patient who goes to a GP with mental health concerns is more likely to end up being sent to a psychiatrist than a psychologist because many doctors are unfamiliar with "talk therapies".